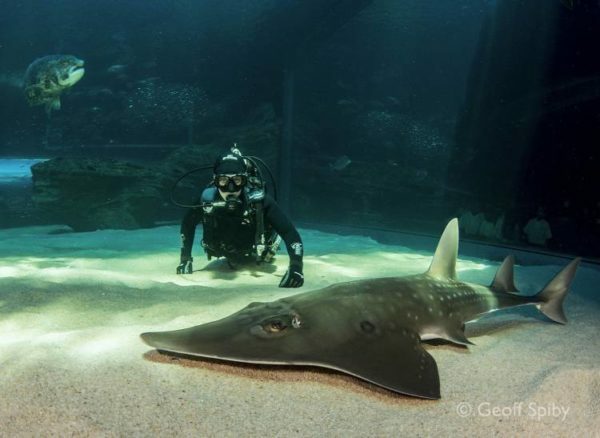 Those searching for an exhilarating encounter with sea life or one-of-a-kind Christmas gift for a daring loved one are in luck–Two Oceans Aquarium has introduced a selection of diving experiences suitable for even the most novice of divers. 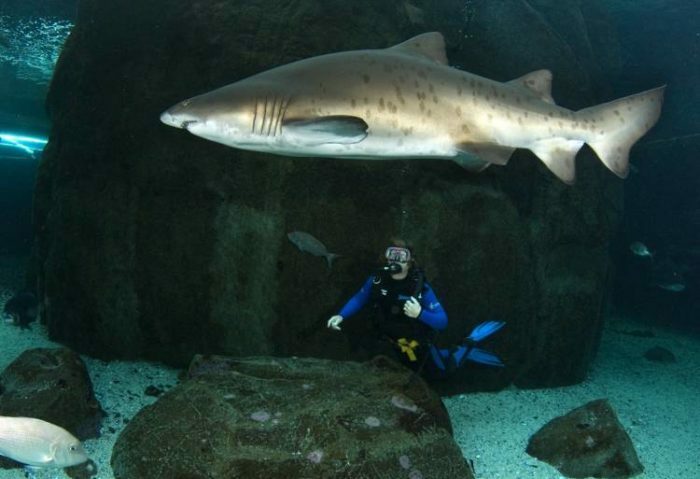 Whether you’re completely new to the activity and looking for a qualification or an experienced diver and wanting to get up-close and personal with some docile sharks (cage not included), Two Oceans has the diving experience for you. 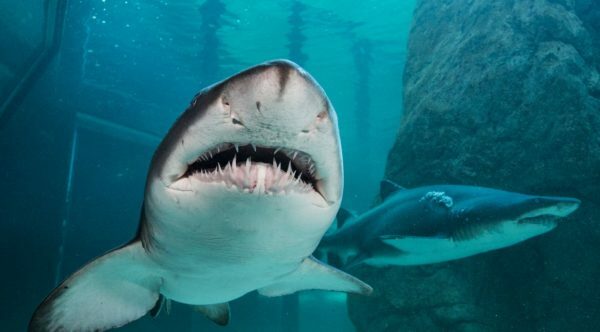 Adventurers can choose to do a dive in the Predator Exhibit and swim alongside a shiver of ragged-tooth sharks and schools of yellowtail and giant kob, or in the I&J Ocean Exhibit among turtles and stingrays. The Predator Exhibit requires a minimum of an Open Water 1 qualification while the I&J Exhibit is suitable for unqualified divers. 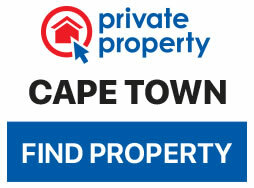 If you want to learn first-hand about the awesome predators that inhabit the South African coastline, you can click here to book your dive in the Predator Exhibit and get more info on what you need here. The I&J Ocean Exhibit is 6m deep, has a full 10m tunnel, and displays incredible species such as rescue turtles, rays, guitarfish, brindle bass, and spotted grunter. This environment offers beginner divers a chance to experience a tranquil setting while getting their bearing in the underwater world. The amazing variety of species on show are truly a feast for the eyes as well. If you don’t have an Open Water qualification or higher, you can do a one-day PADI Discover Scuba Diving course with Two Oceans Aquarium too, which allows you to do one dive in the I&J Ocean Exhibit on the same day. 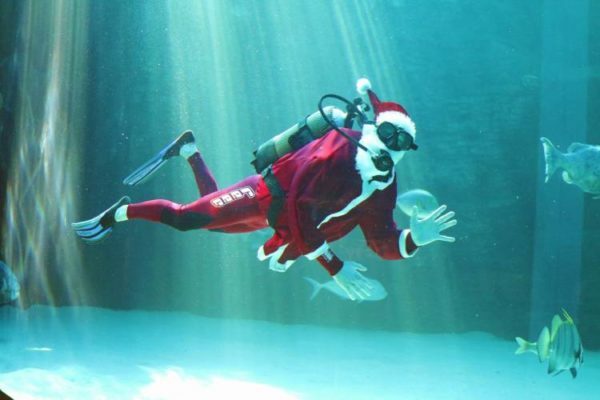 Two Oceans Aquarium fans will also be happy to know that the aquarium’s festive season trading hours have been extended to give patrons more time to enjoy all the beautiful creatures of the deep on display. From December 20 2018 until January 6 2019, the aquarium will be open from 9am to 7pm daily and until 6pm on Christmas Day.